Welcome to Get Up in the Cool: Old Time Music with Cameron DeWhitt and Friends! This week’s friends are Cathy Fink and Marcy Marxer! We recorded this a couple weeks ago at my home in Portland, Oregon. Welcome to Get Up in the Cool: Old Time Music with Cameron DeWhitt and Friends! This week’s friend is Linnea Spitzer. We recorded this a couple weeks ago at my home in Portland, Oregon. 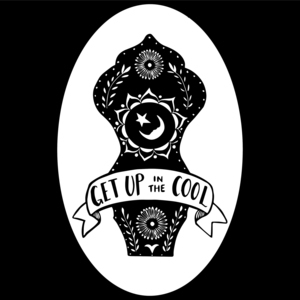 Welcome to Get Up in the Cool: Old Time Music with Cameron DeWhitt and Friends! This week’s friend is Amy Hakanson! We recorded this about a month ago at my house in Portland, Oregon. Welcome to Get Up in the Cool: Old Time Music with Cameron DeWhitt and Friends! This week’s friend is Jesse Partridge! We recorded this after the Oly Old Time Festival at Jesse’s house in Olympia, Washington. Welcome to Get Up in the Cool: Old Time Music with Cameron DeWhitt and Friends! This week’s friend is Jimmy Rush! We recorded this last October on the porch of Hunter and Suzy Owens’s backyard cabin in Sydney, NSW. Welcome to Get Up in the Cool: Old Time Music with Cameron DeWhitt and Friends! This week’s friend is Robin Fischer! We recorded this in my home on the Friday of the Portland Old Time Music Gathering. Welcome to Get Up in the Cool: Old Time Music with Cameron DeWhitt and Friends! This week’s friend is Jim Childress! Also joining us is former guest of the show Pete Vigour on guitar. This is the last remaining episode from last summer’s Clifftop sessions. Welcome to Get Up in the Cool: Old Time Music with Cameron DeWhitt and Friends! This week’s friends are Amy Alvey and Mark Kilianski! We recorded this in front of an audience on stage in a community garden at the Dorrigo Folk and Bluegrass Festival in October. And I apologize for not mentioning this last episode, but Dorrigo is held on Gumbaynggirr Country. Sovereignty never ceded. Welcome to Get Up in the Cool: Old Time Music with Cameron DeWhitt and Friends! This week’s friend is Paul Brown. We recorded this in front of a live audience at Mountaingrass in Central VIC, AUS, November of 2018. Welcome to Get Up in the Cool: Old Time Music with Cameron DeWhitt and Friends! This week’s friends are John Reischman and Eli West. We recorded this right before they caught a plane to Tasmania, on the front porch of the cabin in the backyard of Hunter and Suzy Owens’ house in Sydney.